Remember, the aim of The 2 Meal Day and Intermittent Fasting isn't to calorie restrict, it's just to restrict the time in which you eat your calories. 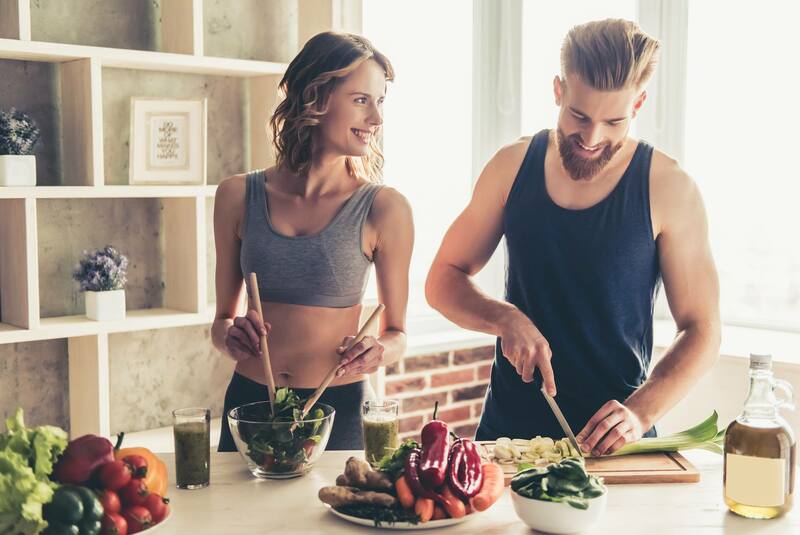 Waiting a few extra hours to eat your first meal won't make a difference to your metabolic rate, unless you start under eating – which is exactly the opposite of what you should be doing when fasting. In fact, short-term fasting (16-72 hours) can actually increase resting metabolic rate due to norepinephrine being released (1) (2). It makes no sense for your body to use muscle for energy when it has an abundance of fat to tap into. Fasting has been shown to be incredibly effective at preserving muscle mass but decreasing body fat. When combined with resistance training it can actually increase muscle mass. Protein is functional tissue and has many purposes other than energy storage, whereas fat is specialized for energy storage. How does the body retain lean tissue? Because of Human Growth Hormone (HGH). Fasting increases levels of HGH (3) which is known for its muscle retraining and building effects. Fasting has NOTHING to do with starvation. It's about giving your body what it needs when it needs it. Starvation is not a good thing. It occurs when you run out of stored body fat (sub four percent) to use as energy and you start to cannibalise muscle and vital organs in order to survive. The human body has evolved to survive episodic periods without food. Fat is stored energy and muscle is functional tissue. Fat is burned first. The last thing your body wants to do is start breaking down muscle – it needs it to catch its next meal. This is exactly why I started T2MD, to create a method of IF that can be done sustainably, long term. If you are becoming antisocial because you are following an IF protocal that says you cannot eat past 8pm then you are doing it wrong. We don't know why yet, but women are much more sensitive to starvation signals than men, and if the body senses it is being starved, it will ramp up the production of the hunger hormones, leptin, and ghrelin. When women experience that feeling of insatiable hunger after not eating enough, what they are actually feeling is these hormones. This is how a woman’s body protects a potential foetus, even if a woman is not pregnant. Specifically, negative energy balance in women may be to blame for the hormonal changes in the body and it’s not just about how much food you eat. Any combination of these stressors could be enough to put you into negative energy balance and affect your hormones. training for a marathon and nursing a flu; too many days in a row at the gym and not enough fruits and vegetables; intermittent fasting and stressing about your day to day life can all have an effect. In my experience issues can arise with women (and men) when they bite off more than they can chew. If someone decides they want to get in shape and have read about IF and HIIT (High-Intensity Interval Training) so they decide to go and 'smash' five HIIT classes a week, start skipping meals and continuing to try and calorie restrict. It is made worse when these people already have an incredibly stressful work life, as well as awful sleeping habits, fuelling themselves with caffeine, sugar, and nicotine throughout the day. All of these things combined are putting too much stress on the body and will end up throwing hormones out of sync. This is true for men AND women, but women seem to be far more sensitive to the stresses. When done for the right reasons, in the right way (like how I teach with The 2 Meal Day) women can and do have amazing results with IF. My online plans are the product of years of self-experimentation, research, and work. I started 2 Meal Day with the intention of creating the simplest and most effective form of Intermittent Fasting and I am proud to say that I believe I have done that. 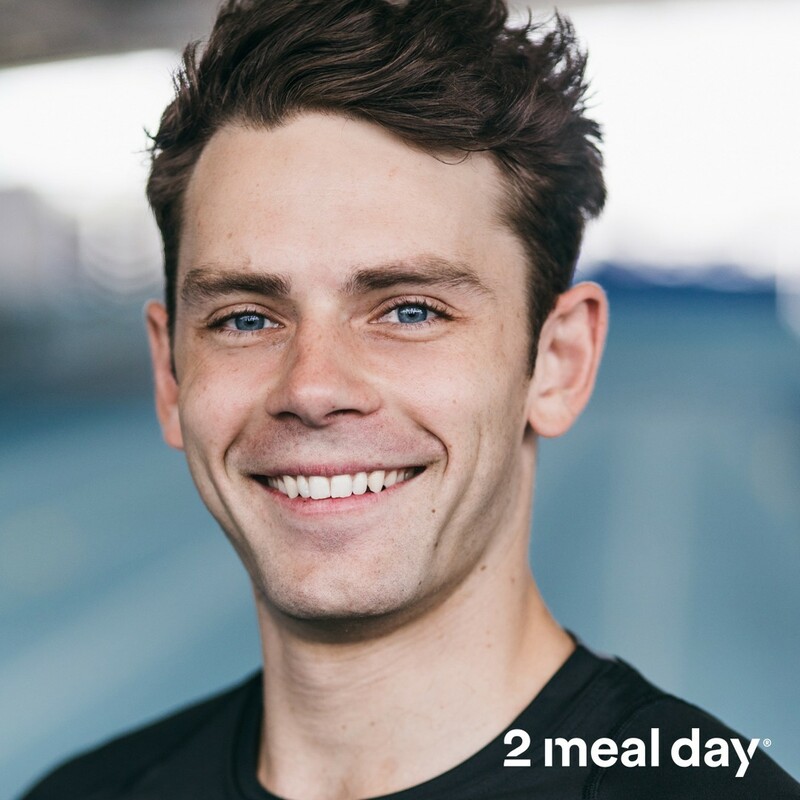 The 2 Meal Day plan incorporates Intermittent Fasting into a sustainable lifestyle and has the profound effect optimising one's fitness, health and overall wellbeing. Special Plant Based News 20 Discount Code: 'PlantBased20' - Use it at the checkout. DISCLAIMER: Plant Based News is not a doctor. Please do not use any of the information in this article as a substitute for medical advice. If you have any concerns about your health, please visit a health care professional. This collaboration is not a paid for promotion. Max Lowery is an advocate of Intermittent Fasting, which he sees as the 'missing link' in our overall health and well being. He is a Personal Trainer and Online Health Coach with a rapidly growing social media following. He trains many high-profile celebrity clients, influencers and tastemakers including some of the world's top models.